Home sellers in London cut asking prices by the most in more than 6 years this month, adding to signs that the property market in the British capital is coming off the boil. 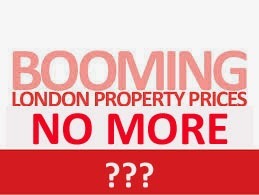 London values fell 5.9% from the previous month to an average £552,783 (S$1.1 million), the biggest drop since December 2007, property website Rightmove said yesterday. Nationally, prices declined 2.9%, an August record. While property demand usually weakens during the summer, Rightmove said the slump this year was steeper than it expected. Tougher new mortgage rules introduced by Bank of England (BOE) Governor Mark Carney, as well as anticipation of higher interest rates, are putting pressure on the market after a surge in value raised concerns that a bubble may develop. "Buyers and sellers are becoming increasingly aware about personal finances, given that the cost of mortgages are going up and regulators are trying to bring availability down," said Rightmove director Miles Shipside. "This limits what buyers are willing or able to pay, and helps moderate sellers' price expectations." Some of the biggest price declines in London were recorded in affluent boroughs including Kensington and Chelsea, Camden, Hammersmith and Fulham, according to the report. "Top-end sellers are very much discretionary ones, so can delay marketing till a more active time of year," Mr Shipside said. "That tends to depress property prices more in the higher-priced boroughs, with those that need to sell in summer pricing lower to attract holiday-distracted buyers." Mr Bruce Dear, head of real estate at law firm Eversheds, said the main problem in London remains a shortage of housing supply, which has pushed property prices to more than 16 times the average salary. "Urgent policy measures are required to reduce that gap, " he said in a statement. "The only answer is for the government and local authorities to urgently build more." Nationally, the annual pace of growth in prices slowed to 5.3% in August from 6.5% in July. The average asking price was £262,401. Rightmove said the drop in monthly prices is a "lead indicator of a slower market in the second half". Out of the 10 regions tracked by Rightmove, all but the north of Englandshowed a decline in home values in August from July. London led the drop, followed by East Anglia with a 4% drop and the south-east with a 2.5% fall. So it looks like the law of gravity for so long defied by the London private home market appears to be reasserting itself. So are buyers finally going on strike? According to a report in The Observer (a British newspaper), the mundane answer to that question may be that prospective buyers simply cannot amass the finance to buy for now. The mortgage market review (MMR), imposed by regulators to avoid a repeat of the lax lending and "liar loans" common before the financial crisis, has already curtailed borrowers from taking jumbo-sized mortgages. And then there are also others who are repelled by fears of interest rate rises. However, British households remain heavily indebted, making the BOE deeply hesitant about raising rates. Given that there are no sign of wage rising, and that the Eurozone economy is heading into reverse, the prospect of an early rate rise is receding yet again. In addition, the fundamentals that have driven the Londonprice spiral – deeply restricted supply, a fast-growing population, cash buyers, investor-landlords and the capital's role as a safe haven for the global elite's billions – are still largely in place. The irony is that the cheerleaders for a price crash want only one thing: to buy. With such a large reservoir of potential buyers, it's difficult to envisage much more than a pause in prices. No Comment to " London home prices: Is the bull-run ending? "